Fill empty search result pages with content! Websites of all sizes may have empty search result pages. If visitors see empty results, they will leave your website – and may never return. The Google Search Assist add-on will keep visitors engaged. With it, instead of displaying empty pages when there are no search results, your site will display related results directly from Google. Is there anything to set up or configure? No, the Google Search Assist add-on is a very simple but useful tool for any directory website. Other than purchasing the add-on, there is nothing to configure or set up. How does Google Search Assist decide which results to display? The add-on takes into consideration what your visitor was trying to search for on your website – keywords, categories and locations. If there are no member results to be displayed, it will search Google for related results. Does Google Search Assist only work for member searches? Yes. The Google Search Assist add-on will only show related Google search results when a visitor conducts a search for members on your website. Can I control what Google results are displayed? The Google Search Assist add-on shows results from Google that are best related to the search that was conducted on your website. These results do include ads served by Google. Because there are no settings to configure, the displayed Google results are similar to the results that would be displayed if the search was conducted on Google.com. Does Google Search Assist help with SEO? Yes! Rather than displaying no search results to your visitors, they will be presented with relevant results directly from Google. This will encourage them to click more links on your website, view more pages on your website, and ultimately stay on your website for longer periods of time. All of these factors play large roles in your website’s search engine optimization (SEO). If I have multiple websites do I need to purchase multiple copies of the Google Search Assist add-on? Unfortunately, yes. One purchase is valid for only one website. If you would like the Google Search Assist add-on to be added to two of your websites then you will need to purchase two copies of this add-on. If you are looking to purchase five or more copies of this add-on, please contact our sales department at sales@brilliantdirectories.com for an exclusive discount. Why are Google ads being displayed? 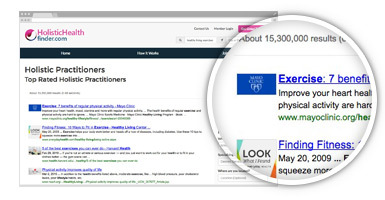 Displaying Google search results is a FREE tool from Google. We’ve customized this tool specifically for Brilliant Directories websites so that Google integrates seamlessly with searches on your website using our Google Search Assist add-on. We do not control the ads that Google chooses to display. If you would like an ad-free version, you may opt for Google’s paid Enterprise Version of this tool. We can assist with the installation and configuration of Google’s Enterprise Version for a one-time fee of $250 – email sales@brilliantdirectories.com for more information.